Using cheap consumer electronics and 3D printed parts to create high-quality scientific and medical devices is the aim of a new research project. 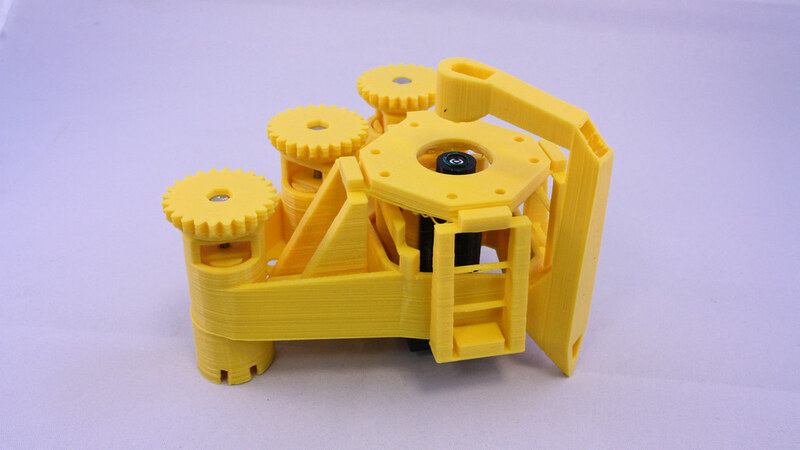 The 3D printed microscope frame. Credit Richard Bowman. Using cheap consumer electronics and 3D printed parts to create high-quality scientific and medical devices at a fraction of the cost of alternatives is the aim of a new £1M research project at the University of Bath. Dr Richard Bowman from the Department of Physics, working with collaborators at the University of Cambridge and Tanzanian “digital blacksmiths” STICLab, wants to create much cheaper, open-source devices such as microscopes which can be used for disease diagnosis and scientific research. The three-year project, funded through the Global Challenges Research Fund, is testing and refining a prototype general purpose optical microscope made from mass produced lenses, a Raspberry Pi mini-computer and a 3D-printed plastic frame. The prototype only costs £30 in parts and can reliably magnify up to 1.5 millionths of a metre. Optical microscopes are in great demand in many parts of the developing world, but can be prohibitively expensive. These microscopes are often the main way used to identify parasites, such as the deadly malaria parasite, in blood and water samples. The team’s prototype can be cheaply and quickly manufactured on location without large start-up costs. Dr Bowman, a 50th Anniversary Research Fellow, said: “I think we’re quite used to the idea of open source software, but not necessarily open source hardware. With consumer electronics being so cheap nowadays we can actually get a surprisingly long way and make a high-quality instrument for serious microscopy. The team will also be testing the microscope’s potential for automation – programming the microscopes to do more work automatically would free up the time of medics and researchers to do other things until a later stage, and improve consistency. Another potential advantage is that digitally storing the images of tested samples to keep a record would allow them to be revisited for second opinions, training or further scientific research, which presently isn’t possible after samples are destroyed. The frame is 3D printed plastic. Credit Richard Bowman. Dr Bowman initially came up with the idea while working as a Research Fellow at Queens’ College, Cambridge and developed the concept during a Research Fellowship from the Royal Commission before moving to Bath.